Hyde Park, NY – The senior class of the Food Business Management program at The Culinary Institute of America recently hosted two benefit dinners to raise funds for charities and a CIA scholarship. 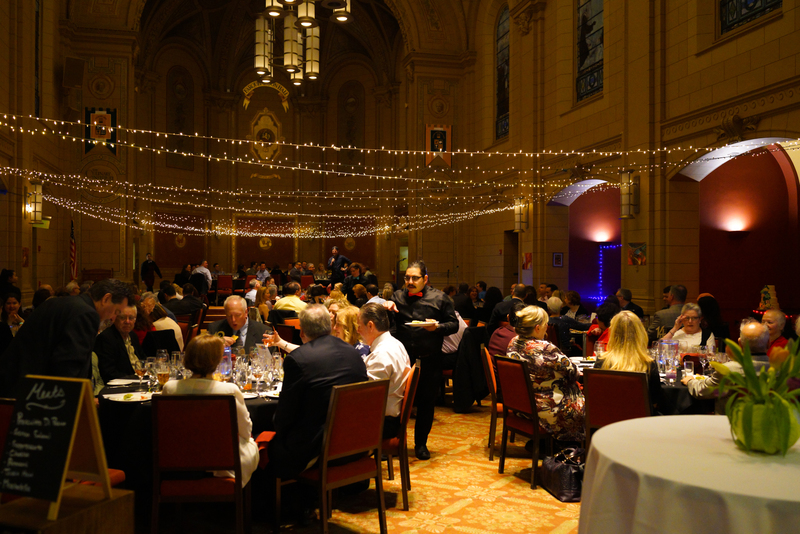 The dinners raised more than $16,000 from ticket sales, silent auctions, and raffles. These capstone events allow students to put everything learned over the course of four years of their CIA education into a real life situation, providing guests with the very best experience. Not only did planning these events offer them practice, but it also gave them an opportunity to help their fellow classmates through scholarships at the college, and to support the local community. On March 23, the first group of students successfully executed a fun and festive Mardi Gras-themed dinner called “Night on Bourbon Street.” This event featured mouthwatering Cajun dishes and New Orleans-style entertainment. More than 130 attendees helped raise $8,635 to benefit the Side Towel Scholarship at the CIA and Abilities First. Abilities First, based in Poughkeepsie, NY, has a mission to provide people with disabilities and their families support to attain independence, self-determination, and integration. The Side Towel Scholarship, established by CIA faculty member David McCue, provides students, a resource to assist in financially tough times. The students also held a raffle that made over $350 in support of the CIA’s SkillsUSA team. On March 30, the second group of students hosted an evening of surprises called “Mysterium.” The class designed “Mysterium” to break the boundaries of what is normal. Students wore propeller beanie hats and colorful bow-ties, while cabbages with tulips graced the tables as centerpieces. The event was held in support of World Central Kitchen. The raffle and silent auction brought in about $5,500, and with ticket sales from 130 guests, around $8,000 will be presented to World Central Kitchen. Founded by acclaimed chef José Andrés, World Central Kitchen works in poverty- and disaster-stricken areas to bring healthy, clean food and education to those in need. The students involved added their thanks to donors who provided food and silent auction and raffle items, as well as the people who attended for their generosity.